We didn’t get the memo here at Orlando Local Guide that January was the month of stand-up comedy in Orlando but the month in 2013 is shaping up that way with some of the biggest names in comedy visiting and performing their stand-up comedy. 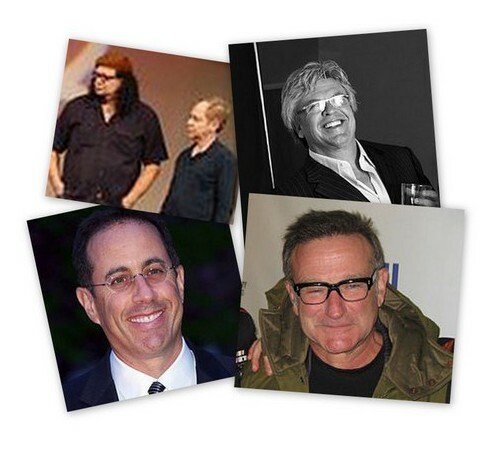 Jerry Seinfeld, Robin Williams, Ron White, and Penn & Teller will all be performing in Orlando in the month of January with Jerry Seinfeld and Robin Williams performing at the Bob Carr Performing Arts Centre and Ron White and Penn & Teller performing at the Hard Rock Live. Jerry Seinfeld is scheduled to perform stand-up comedy at the Bob Carr in Orlando on Thursday, January 19th, 2013. Comedian Ron White is booked to do his stand-up at the Hard Rock Live on January 25th, 2013. Robin Williams is scheduled to perform stand-up comedy at the Bob Carr in Orlando on Wednesday, January 30th, 2013. Penn & Teller are scheduled to perform their comedy and magic routine at the Hard Rock Live in Orlando on Thursday, January 31st, 2013. Click here to visit or our sister site Orlando Concert Guide for more comedy and concert shows in Orlando throughout the year. This entry was posted in Calendar and tagged comedy. Bookmark the permalink.